Last night I celebrated the winter solstice with some very dear friends of mine. 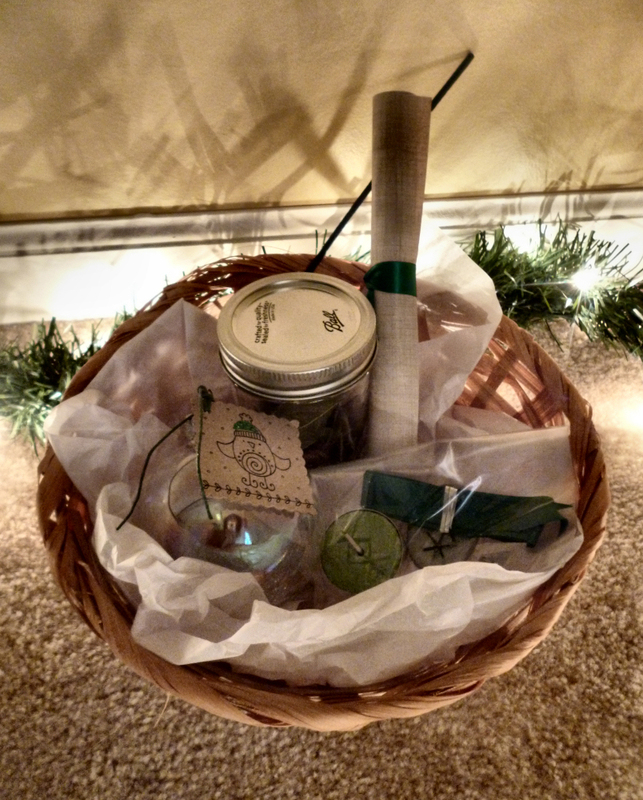 We had a Secret Santa, so they were able to exchange gifts, but I wanted to give them something as well. When I discovered some clear glass ornaments I had picked up last year on clearance, the first thing that came to mind was an enchanted orb. 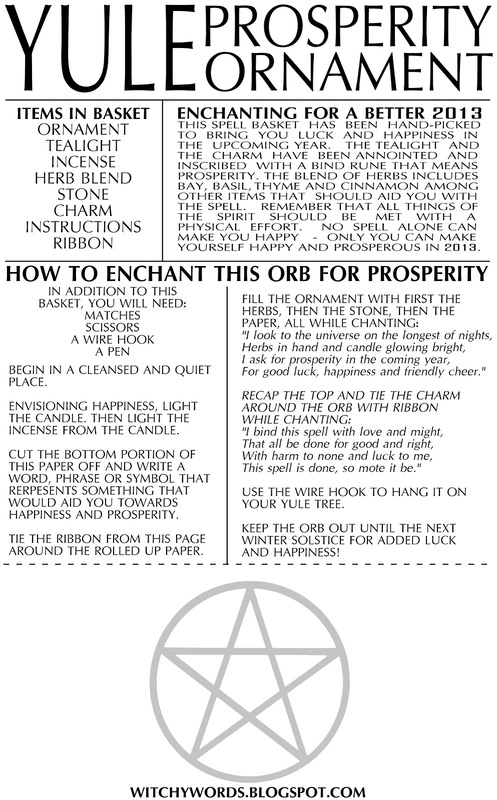 These are the print outs I created for the spell. You are welcome to use them as you wish, or print them out and give them to your friends and family! One basket - I found my baskets at a local thrift store for a quarter a piece. I made the charm out of clay - Crayola Air Dry Clay, to be exact, but you're welcome to use something fancier. After shaping them into ovals and poking a hole through them, I inscribed on the clay a bind rune I created using the Futhark runes for prosperity. A simpler rune like fehu or a different symbol altogether would be just fine. 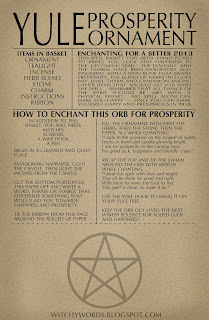 The symbol should fully represent the intention of the spell to you, so choose wisely! Once dry, I painted them with black and silver metallic paint. You can paint them whatever color you like - gold or green would be excellent choices. 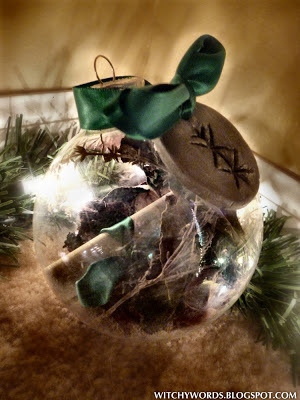 Once dry, I tested them out to make sure they would string onto the ribbon, then slid them into the clear bags. I also carved the same bind rune into the candle by heating a knitting needle. 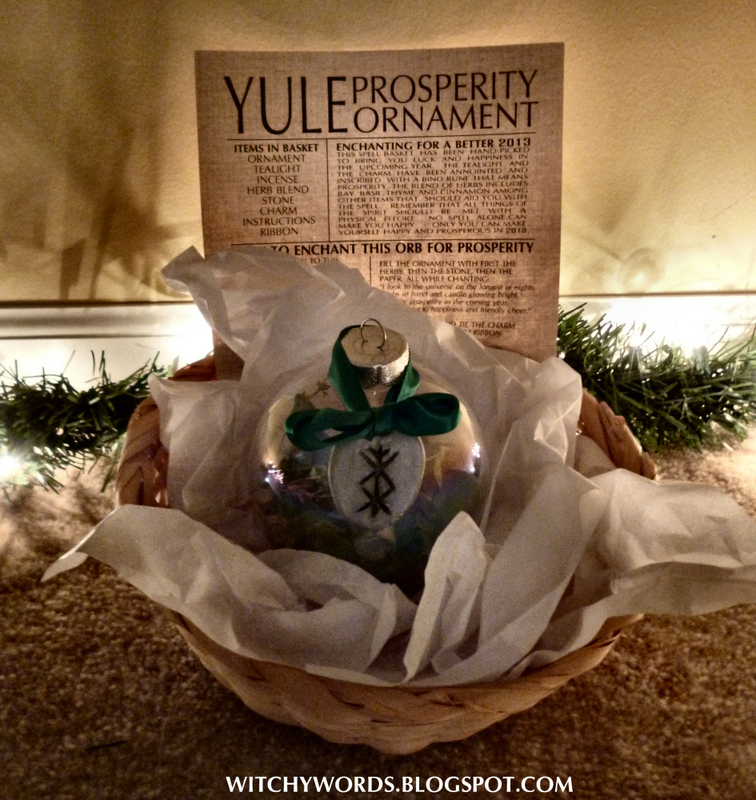 The herbs inside the jar can be a blend of anything you choose that represents prosperity to you. No two herbal correspondence charts are alike - you can really only find out what herbs work for what by giving them a shot yourself. Over my ten years of herbal work, I've found basil great for money issues, cinnamon as a protection from harm and improving odds, bay for psychic enhancement so you can be one step ahead, and thyme effective for friendship and good opinions. 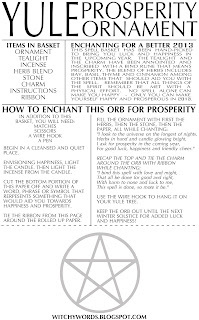 This blend, I feel, would certainly bring about prosperity in the coming months. The bay, basil and thyme were fresh. I dried them out by setting my stove to 200F and checking it every 15 minutes. While I dried them, I put the charms on another rack. This not only dried them much faster, but it infused them with the herbs. I packed all the herbs into the mason jar and included more than enough to probably fill the bulb full. They'll only need a little of everything. I rolled up the spell and used the smaller ribbon to tie it together. 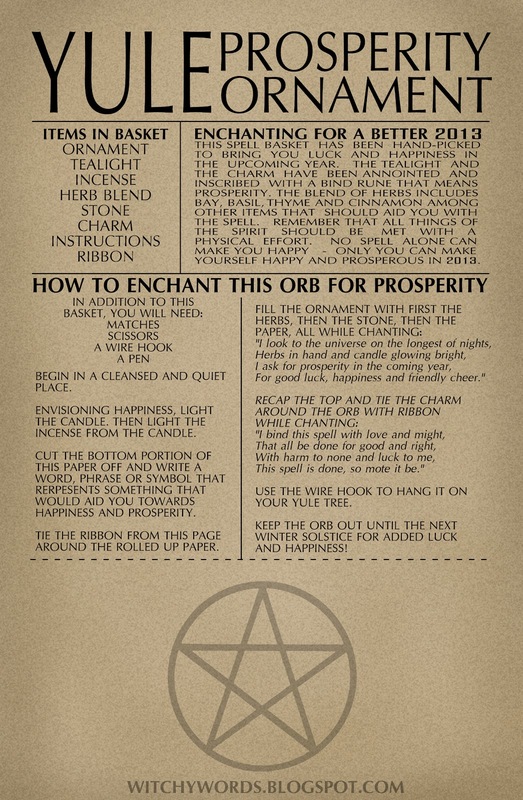 They'll use that ribbon again to tie together the paper portion of the spell. The orb sat on its own, nestled in the tissue paper. Everything else fit nicely into the clear bag. 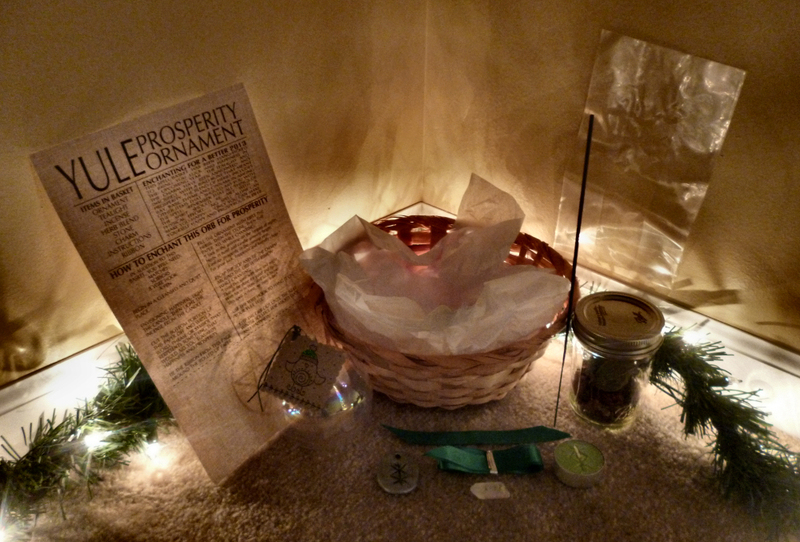 So there you have it - everything I used to put together my prosperity ornament enchantment for my friends. As I said above, feel free to do this for your friends and family! 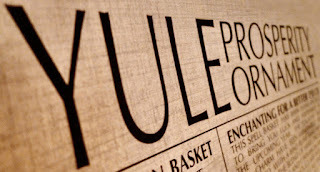 From my family to yours, have a fantastic Yule! That's pretty nifty! Thanks for sharing! You're very welcome! 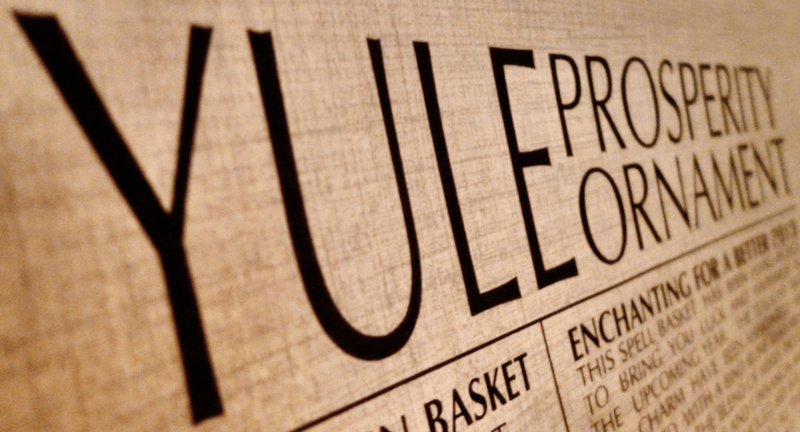 I hope your Yule was a good one!